90s nostalgia is still blazing hot. Which means anything from that bygone era is big business. And the canceled ABC sitcom Family Matters certainly hasn't been forgotten. Just this past week, the show that spawned Urkel and his signature catch phrase 'Did I do That' has been in the news quite a bit. And in a well-timed bit on Saturday Night Live, the cast even attempted an update with a spoof that, for the most part, falls flat. A lot of attention has been focused on Family Matters this past week for the sole fact that two of its original cast members reunited for a brand new project. Yes, Reginald VelJohnson and JoMarie Payton, who played Carl and Harriette on the family sitcom, were back within each other's good graces for the Saturday Night Lifetime original movie The Flight Before Christmas. And it just so happened that Saturday Night Live was also planning to spoof the beloved comedy that same night. But, alas, it just didn't work out. It's not that an all-white Family Matters spoof was too offensive. It was cut for time. Solely because it failed to land many laughs. We have an embed of the video below if you don't believe us. 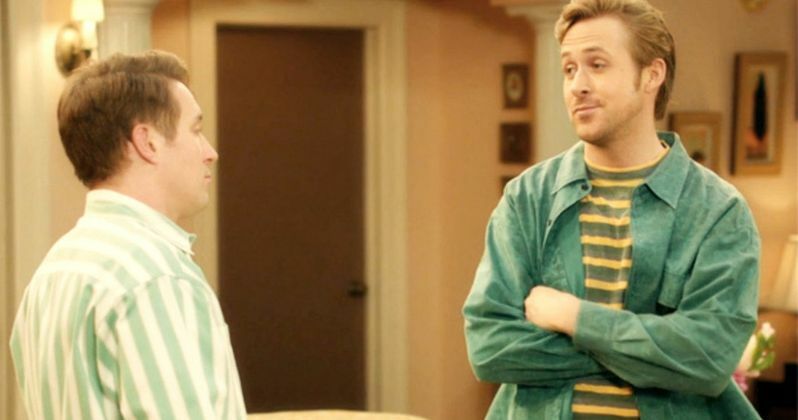 Even featuring last week's SNL host Ryan Gosling, who proved he can be extremely funny in the right circumstances, this skit failed to muster up many laughs at all. The all-white Family Matters parody is very awkward in some ways. The mostly joke-free spoof finds Kyle Mooney, Beck Bennett and Ryan Gosling playing characters that are loosely based on fan favorites from the show. The scenario revolves around the original introduction of Stefan Urquelle, who you may remember as the suave doppleganger of Steve Urkel. Kyle Mooney plays the nerd Dougie, who gets a similar makeover. He becomes 'cool'. So cool, he doesn't care about anything but his clothes and hairdo when he hears the news that his best friend just died in a DUI accident. You can watch the sketch play out in full in the embed below. Sure, there are some laughs to be found in the exterior shots, which feature llamas and a whole lot of nonsense. But the actual interaction between the spoof characters is bordering on painful to watch. Take a look and let us know how you feel. Did you like it? Or where you glad it was cut for time?